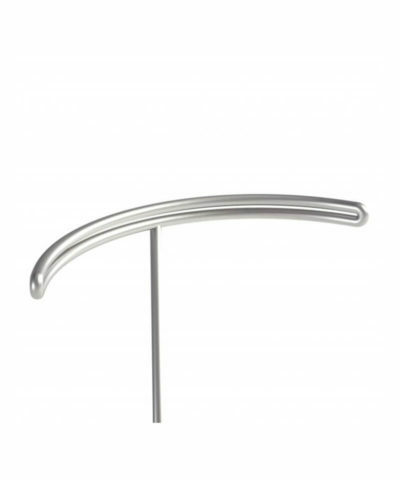 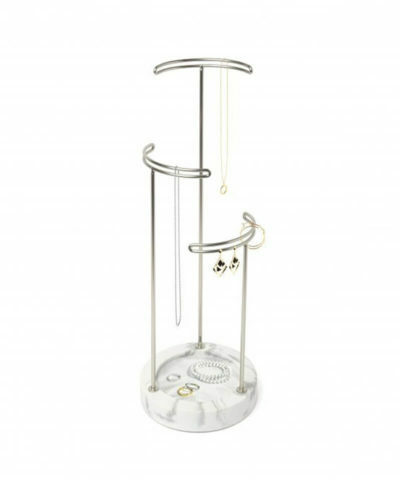 This stand will help to eliminate the frustration of forever untangling your bracelets and necklaces as it has plenty of room to hang them, so they are easy to view and ready for use ! 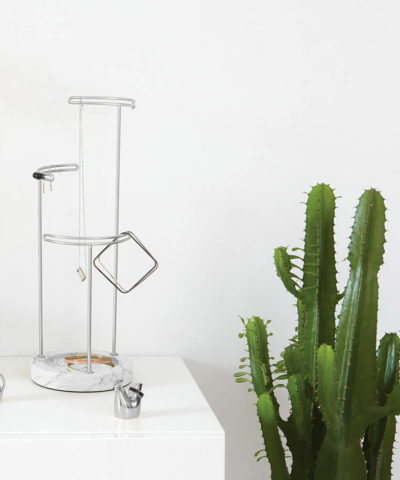 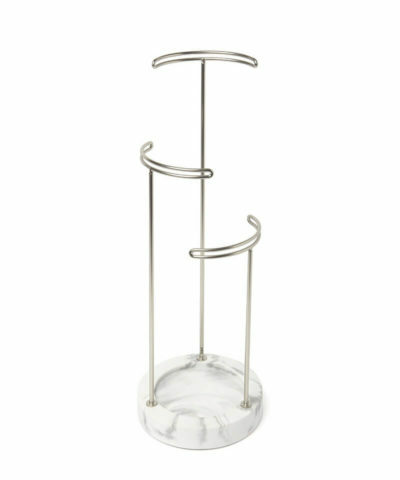 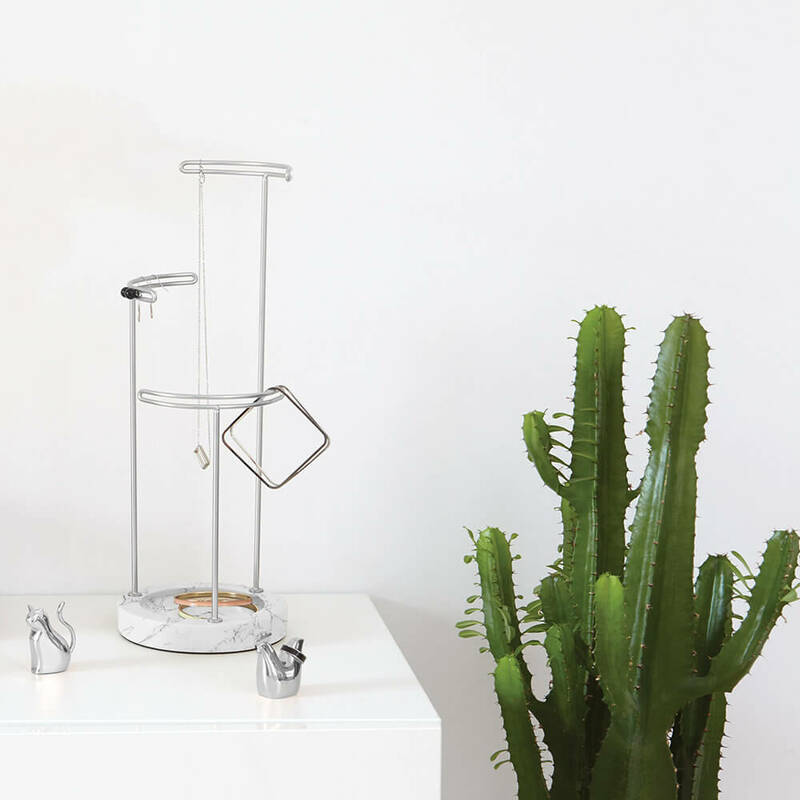 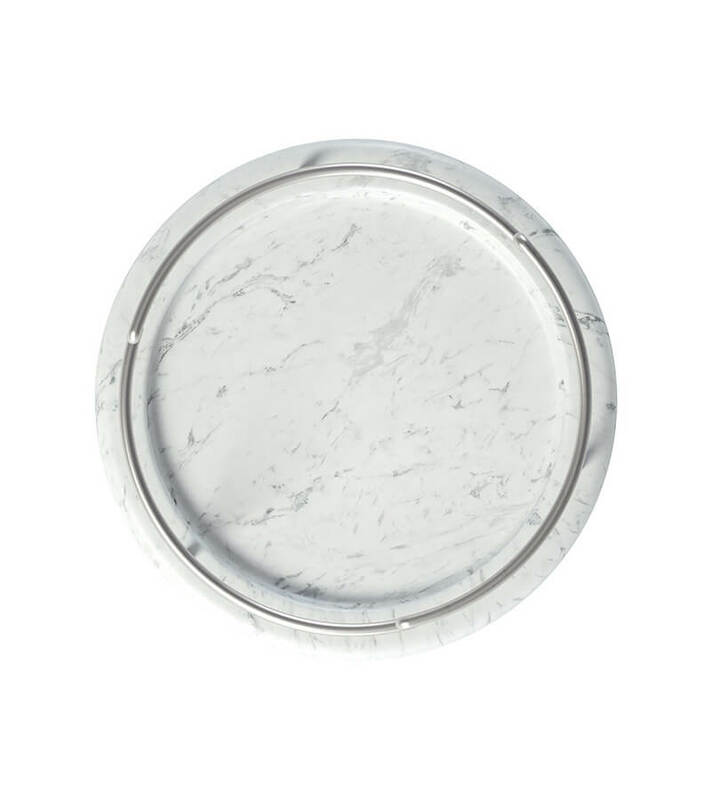 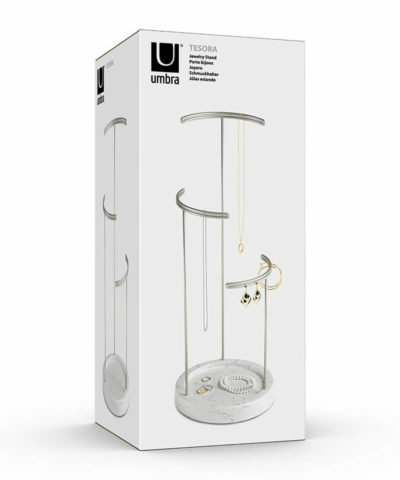 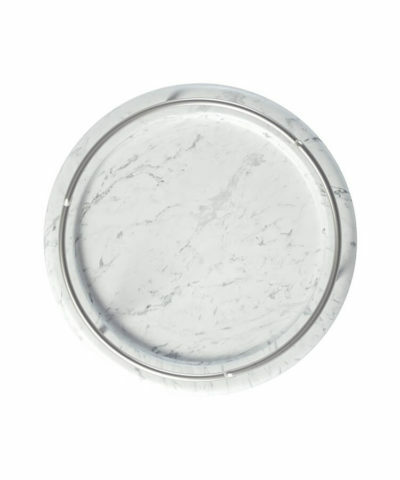 With nickel plated metal posts and a weighted resin base, the Tesora Marble Jewelry Stand is bound to make an impact wherever you display it ! 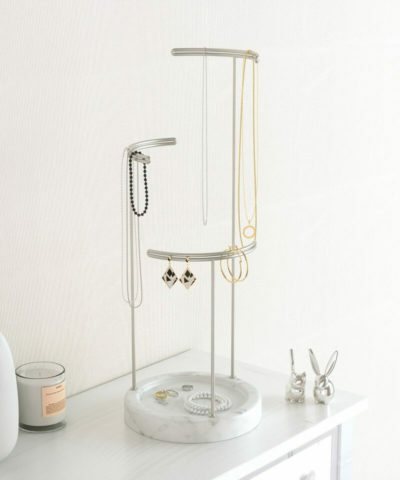 Why hide your treasured jewellery away?